The recipes are presented with photos, as well as the dish in English on one page and in Spanish on the opposite. Along with some cooking tips and tricks as well as healthy hints, the dishes are presented in alphabetical order by their region. America has American Chili with Turkey as well as New Orleans Jambalaya. Brazil, England and Ireland, China, Colombia, France, Germany, Greece, Hungary, India, Indonesia, Israel, Italy, Mexico, Morocco, Poland, Russia, Spain and more are all available in the book, so home cooks can try a variety of dishes from a variety of countries! 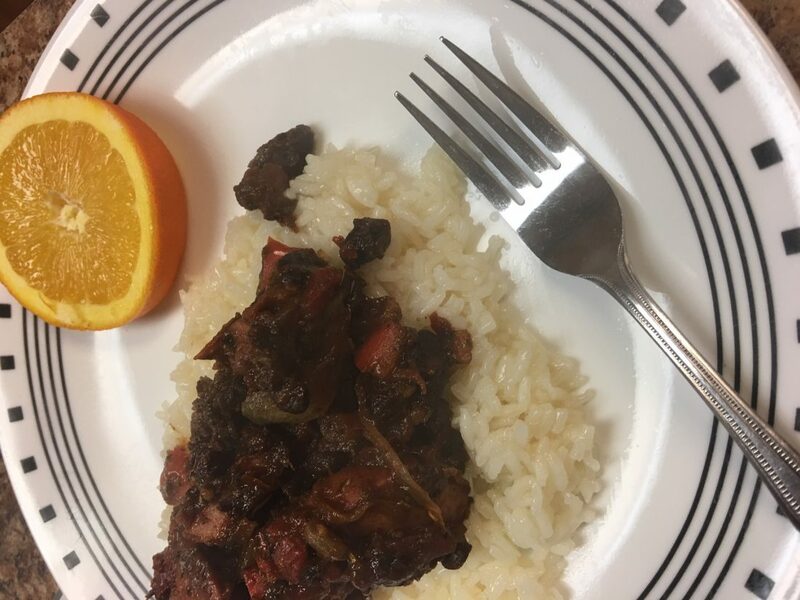 Having had Brazilian food once and wanting to try it again, I made Brazilian Feijoada with Chicken Sausage one evening. The recipe is a stew or curry-type dish made up of beans, chicken broth, garlic, chicken sausage, bacon, some vegetables and seasonings and then simmering for 30 minutes. The dish is then served on rice and with a side of collard greens or kale if you want (I did NOT want) and oranges. The note accompanied the dish said feijoada is the national dish of Brazil with Portuguese origins dating back to Roman times. We all thought it was pretty good, but something about the seasonings also made it very salty, so I would redo some of the seasoning next time. This is a really interesting book for those who want to try cuisine from different regions and allows a home cook to travel the world without leaving the kitchen! 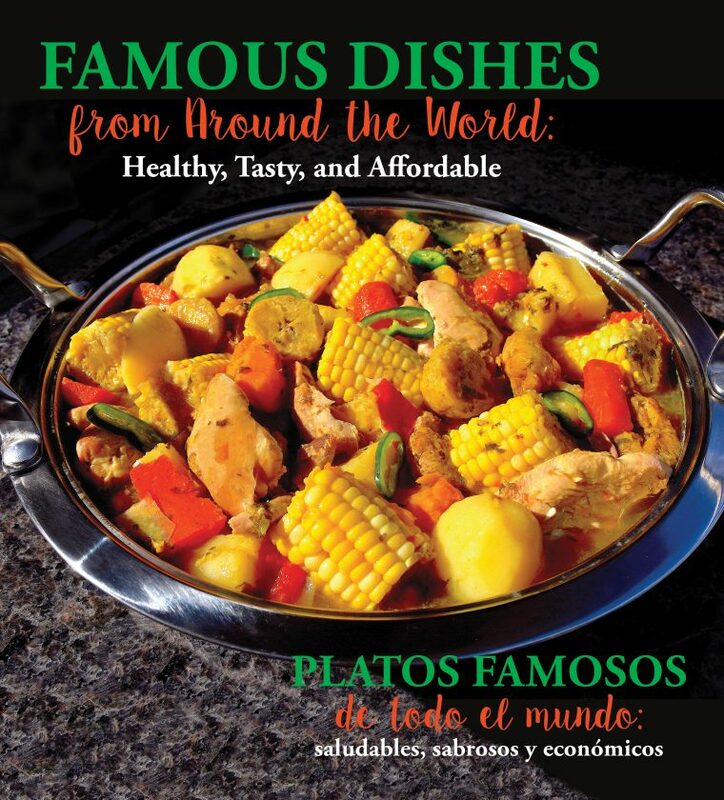 “Famous Dishes From Around the World” is published by Moonstone Press. It is $14.99.